Other than a meteorologist, there is less number of people who are aware of the anemometer and what the anemometer measures. This is the article which clearly explains what anemometer is and its uses. Are you a meteorologist? Do you like to buy the best anemometer? If so, then read on to learn more. An anemometer is an instrument which is used for measuring the wind speed and as well as wind pressure. This tool is helpful for the meteorologists and as well as the person who studies the method the wind moves. Alright! How do you measure the wind by anemometer? Generally, the anemometer comes with the spinning wheel. Based on the wind blow, the spinning wheel rotates the most. The anemometer calculates the wind speed by counting the number of rotations. Is anemometer only used for measuring wind speed? No, not only it’s used for measuring wind speed but also used for determining the wind direction. Hence, with the help of the data, the meteorologists can measure the wind pressure as well. There are various types of anemometers are available on the market. Some of the most common anemometers include Cup, vane, Hot-wire, Laser Doppler, Ultrasonic anemometers, and much more. Each anemometer has its own features and comes with various benefits. What are the features of anemometer? It measures the wind speed and temperature accurately. It comes with an easy-to-read LCD display and as well as the backlight. The presence of the backlit display helps to read the data clearly in low-light conditions. It is suitable for various purposes to include measuring wind speed, air blower, and temperature of CPU computer fans. The anemometer comes with a rubber outer case to provide good protection. It features a wrist strap so you won’t lose the anemometer even in a heavy wind. It’s also used for various purposes include windsurfing, sailing, fishing, kite flying, mountaineering, and so on. It also comes with the low battery indication and auto/manual power off. These are some of the features of the anemometer that you need to consider while buying it. The controls/buttons are often confusing in some models. 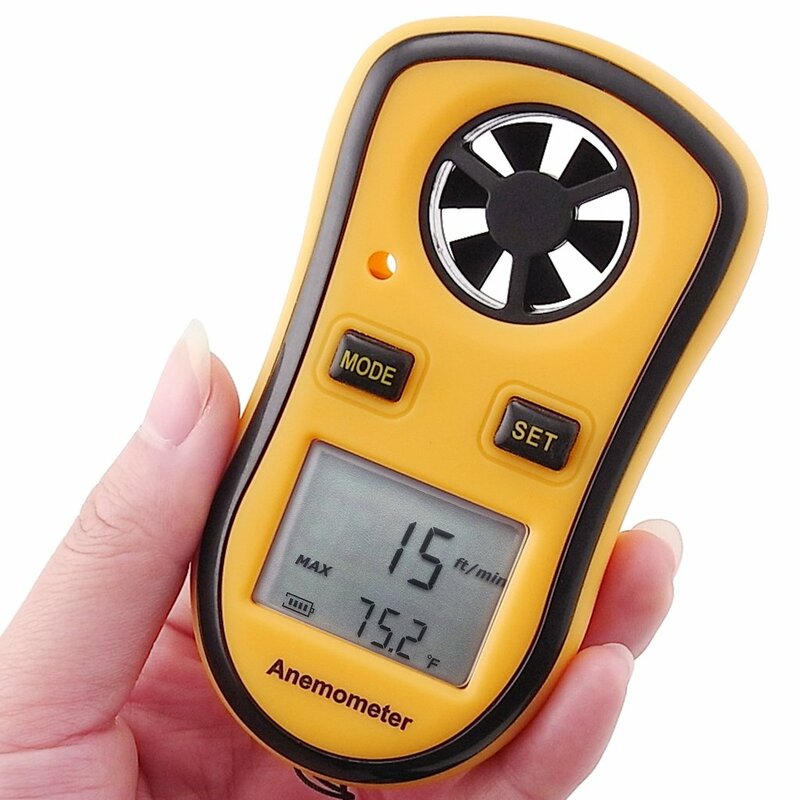 Anemometer is an important tool for every outdoor enthusiast and as well the meteorologist as it helps to measure the wind pressure and temperature. If you want to check the wind speed before flying your drone, then the anemometer is the best choice to go for. It will work well and gives accurate information on both wind and temperature. In addition to this, it’s lightweight in design so you can carry it easily anywhere you want to measure the wind speed.